Our most popular custom trophy - the T101 Track | Running Trophy stands apart as one of our most popular products. 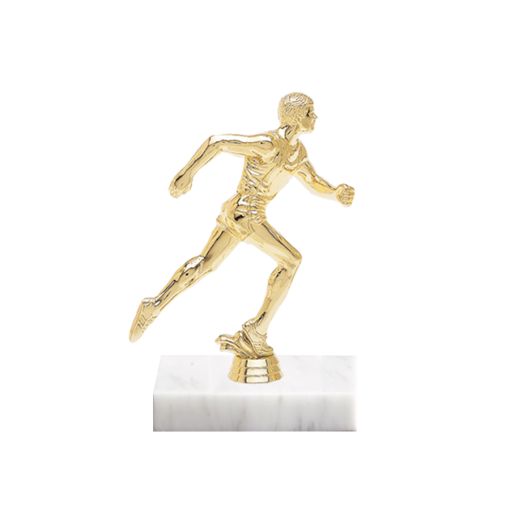 Built upon a beautiful, solid white or black marble base, you can choose from a large variety of Track | Running Figurines to create a trophy that stands out for any Track | Running Event. Newline engraves every Track | Running Trophy FREE of charge, and you won't find a higher-quality trophy at this low price point anywhere on the Web.